Finding an affordable place for dinner in Kagurazaka can be a challenge, so we were more than happy to discover this casual kappo restaurant, located on the ground floor of a tastefully renovated traditional house. 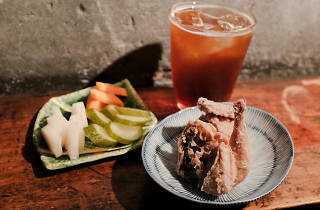 Find it just a short walk from Kagurazaka Station – look for the impressive wooden gate – and choose from a selection of seasonal specials for the full experience. 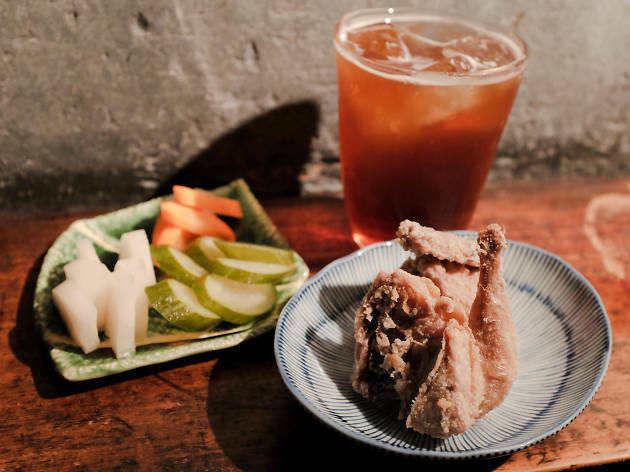 Alternatively, you can stop at the standing-only bar by the entrance, where sake starts from ¥400 per cup and the appetiser menu includes rarities like deep-fried quail and round herring tsukudani, a kind of simmered and preserved food that’s been a capital staple since the Edo era.